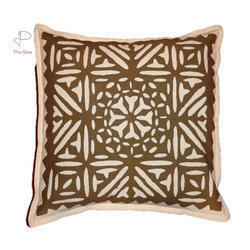 This cut work cushion cover is made by intricate applique work and very fine designed by our expert craftsmen. It is finally dyed in the desired colour and is available in different designs. We have a highly advanced infrastructure that supports us in manufacturing the best quality range of Cut Work Cushion Cover. 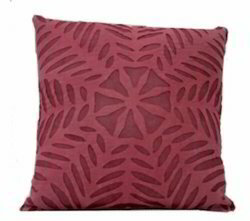 We are Offering designer Cut-Work Cushion in variety of fabric, which give your home compliment. It come in various color range, size and designs. We are offering wide range of cutwork cushion covers. Our range of cutwork cushion cover in different colours and designs. These Cushion Covers are in 100% Cotton material with Cutwork designs.They are produced in Natural colours only.